I recently read an interesting article on how Apple’s iPad was changing the way we build business relationships and have conversations. Don’t worry, this isn’t going to be another article talking about the iPad …there have been a few of those already and I already own that T-shirt. More chances to connect = and do what? Now there’s the $million question – we often forget that ultimately it’s not about the technology but about the customer, and what we do with that connection when we have it. I recently sat with a client where we reviewed the ‘point’ of one of their communications. The round table brought forward 5 different USPs that were related to business needs – not one of them put the customer’s needs at the forefront. 1. Technology should bring out the humanity in your company, not mask it – don’t pretend you’re something that you’re not. Ryanair are a no frills airline – the way they use their website and email programme reflect that. 2. Adopt a multi channel approach to building relationships. The easier you make it for customers, the more they will engage – using email as a case in point, don’t let it work in isolation of all the other channels you use but rather use it to support or initiate those conversations you are having. 5. Personalisation is the gift of technology, intimacy is the gift of humanity. Email is great..but don’t forget the bunch of flowers. 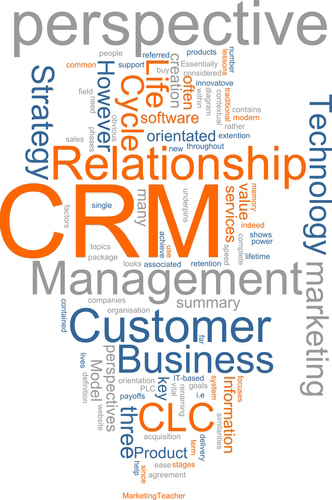 So whatever we do to instigate, facilitate or react to conversations (the whole point of technology) let’s not forget that the ‘C’ in CRM is for ‘Customer’…and not for ‘Computer’.